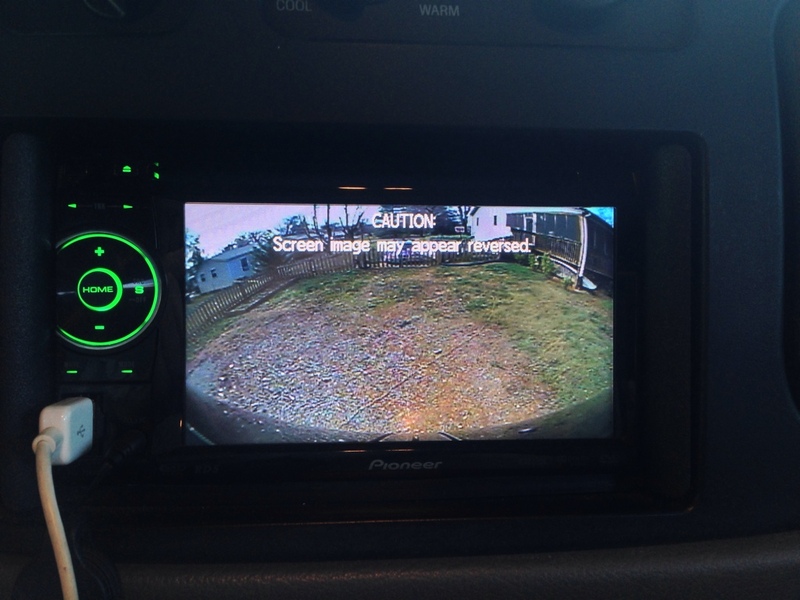 I know that there has been discussions concerning rear view cameras and monitors in the past but I could use some help. I recently purchased an Audiovox RVMPKG4 unit similiar to the following link except it was not refurbished. After paying someone to install the camera and monitor I was extremely disappointed in the quality. My only experience with cameras is a factory installation which came in my other vehicle, which works very well. After one day the extremely poor picture quality started to cut in and out and the view would shift. After paying to have the camera and monitor removed I am now ready to start over but I don't want to make another mistake. Any suggestions would be appreciated. I will need a camera and monitor. My Boyo from Amazon has a great picture. I mounted the license plate type up high so it looks kind of unusual above the rear doors, but the picture quality is great played through my Pioneer head unit. Camera was about $65 and Pioneer DVD head unit was about $250 I think. I can provide part numbers if you'd like. My head unit came from Crutchfield. Is your monitor or camera an Audiovox, or both? I don't think I'm going to get much better quality with a coaxial setup, which most of these are. Thanks for the help, both my monitor and camera are audivox. The monitor is a rearview mirror type that straps over the existing mirror. When the van is in reverse part of the mirror shows the rear view, when in drive the mirror is reflective. There is a wire running back to the camera. Would appreciate help with the model numbers which you used and any other suggestions from other folks. 86scotty, is that your hitch ball in the picture? You mean the rearview picture? No, I never put a ball on there, just a rack but it's not on there now. 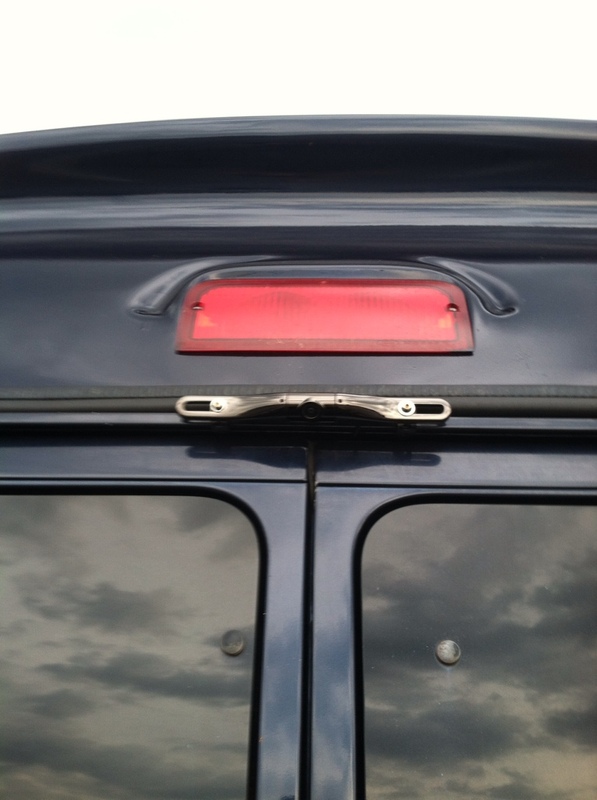 HA.....real truckers don't need no stinkin back up camera! You got mirrors don't ya? Eric....I watched newb back a W700 into the station the other day. His eyes never left the camera screen. Is that what they teach couriers these days? He had all kinds of room and it still took him 3 or 4 pullups to find his spot on the belt. Risky business ignoring your mirrors. Yep, scary. I doubt they teach me anything anymore. Just "how many stops can you get off in 1 hour." Yep but there is a reason why they tell ya to back up only if you have to John...because size rig you're driving DESTROYS things But I have to admit my SMB rear bumper sure jacked up a Altima Oh and she hit me! Well kinda. One Charger To Rule Them All!